← Education more important than money for living a longer life? 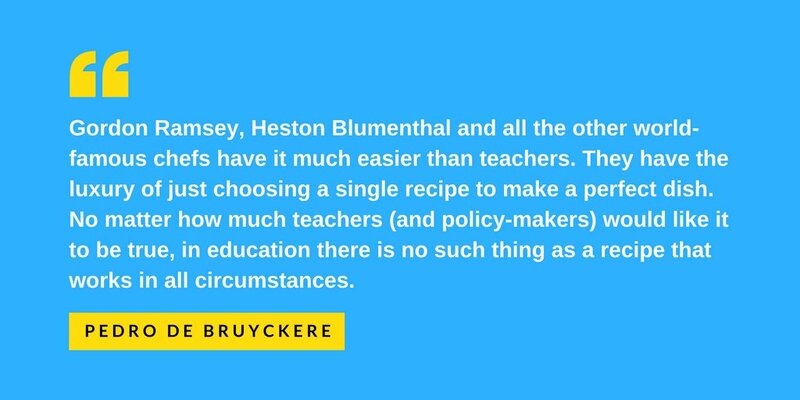 A quote from my book: What’s the difference between teachers and chefs? Check The Ingredients for Great Teaching here or here. How are they similar? Both have deep knowledge and skills related to the tools that they have at their disposal, the techniques that they can use, and the ingredients that can be used. The chef combines them to make a delicious, nutritious, and appealing dish or meal; the teacher to make an effective, efficient, and enjoyable lesson.